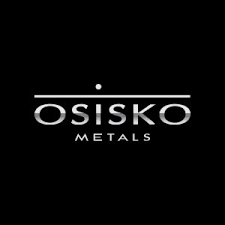 Robert Wares announces that he has acquired an aggregate of 1,200,000 common shares of Osisko Metals Incorporated on the market on April 3, 2019, at a price of $0.50 per common share for an aggregate purchase price of $600,000.00. Immediately prior to the Transaction, the Acquiror held 12,265,567 common shares, representing approximately 9% of the issued and outstanding common shares of the Company and options to purchase 1,077,533 common shares. Immediately following the Transaction, the Acquiror owns, beneficial ownership of, or control and direction over (i) 13,465,567 common shares, representing approximately 9.88% of the issued and outstanding common shares; and (ii) 1,077,533 Options. Assuming the exercise of the Options, the Acquiror would own 14,543,100 common shares, representing approximately 10.59% of the common shares that would then be issued and outstanding. The Acquiror acquired the common shares for investment purposes and may increase or reduce his investment in the Company according to market conditions or other relevant factors. Neither the Acquiror nor any persons acting jointly or concert with the Acquiror currently has any plans or intentions that relate to the acquisition or disposition of securities of the Company. This news release is being disseminated as required by National Instrument 62-103 – The Early Warning System and Related Take-Over Bids and Insider Reporting Issues in connection with the filing of an early warning report. A copy of the Early Warning Report is available on SEDAR under the Company’s issuer profile at www.sedar.com.